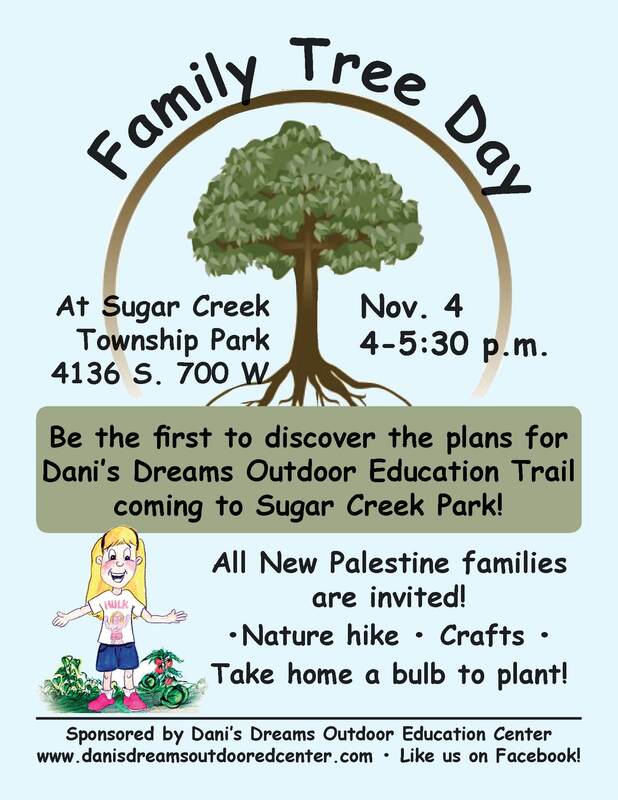 Join Dani’s Dreams for ‘Tree’-mendous fun today at Sugar Creek Park! Take a nature walk, learn about trees and get creative – share the beauty of fall and the wonderful weather (while it lasts) today at Sugar Creek Park. Dani’s Dreams Outdoor Education Center invites all New Palestine families to Family Tree Day at Sugar Creek Park today, Wednesday, Nov. 4, 4-5:30 p.m. Join us for fun, outdoor education activities for all ages and be a part of the plans for “Our Common Ground.” Contact Donna Griffin at dgriffins96@gmail.com for more information. Stay tuned to http://www.danidreamsoutdooredcenter.com and the Dani’s Dreams Outdoor Education Center Facebook Page for more details. Trees are very beautiful! There are many kinds of trees, such as Norway Spruce, White Pine, Juniper, Tulip Poplar, Maple and Cherry. Trees are useful for many different things in many different ways, such as shade, protection and shelter for animals, paper and wood products, and many other things. Trees breathe in carbon dioxide and give off oxygen. 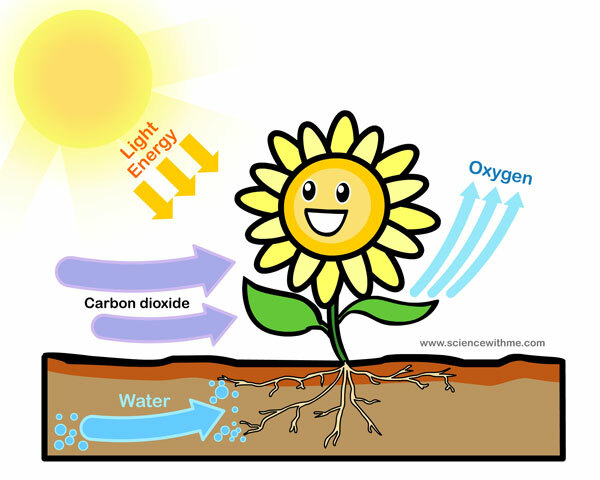 Humans are the exact opposite, we breathe in oxygen and breathe out carbon dioxide. Trees are helpful in making gum, picnic tables, cutting boards, doors, and trees help keep the soil on the ground from having erosion. Trees are wonderful plants that God made for the enjoyment of humans and animals. Trees can do so many different things in so many different ways. I love trees and you should too! 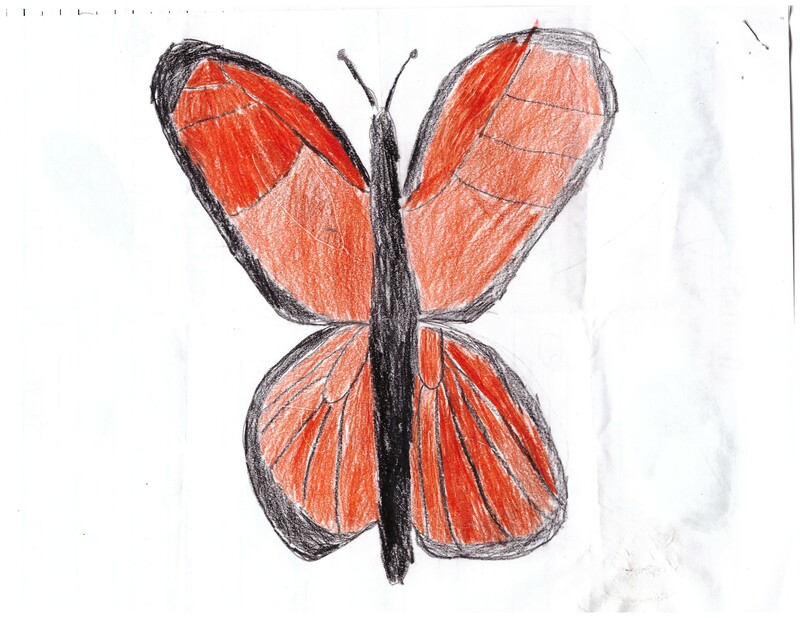 With Monarch Migration reaching a peak, and the success of our recent Butterflies UPCLOSE event, this week in our Dani’s Dream Outdoor Education column, we will be exploring butterflies. How do they live? What do they eat? How are they born? All these questions and more will be answered. Monarch butterflies are found all across America. Monarchs spend their winter months in Mexico, but during the summer, they fly to America and even Canada. They can fly thousands of miles to make it to their summer homes. Not sure what monarch butterflies look like? They have black and orange wings and usually have a wing span of 3 ½- 4 inches. Their bodies are black and they have 2 black antennas on their heads. Males have a large black spot on their hind wings and females do not. Monarchs normally eat flower nectar for food. Milkweed flowers, clovers, thistles, goldenrods, ironweed, and sunflowers are all popular foods for monarchs. Unfortunately, monarchs have a short life-span and live between 3-5 weeks on average. Because their lifespan is short, they must have multiple generations during the summer. By the end of the summer, the last generation must fly to Mexico for their over-wintering period. Monarchs flying north in the spring to the United States will find a mate. As they reach the U.S., the females will look for milkweed to lay their eggs. They eggs hatch after approximately 4 days and over a 2 week period, the caterpillars grow. Once they grow large enough, the caterpillars create a chrysalis or a cocoon and being the process of metamorphosis. The chrysalis is green with yellow spots and it provides protection for the caterpillar. After 2 more weeks, the butterfly emerges from the chrysalis. This process continues until it is time for the butterflies to fly back to Mexico. Right now the Monarchs are just heading into Texas and a few are crossing the border into Mexico. Track this year’s migration on Monarch Watch. For a fun story to read and learn more about the Monarch Life Cycle, click on “The Adventures of Ralph Sean Green” on our home page. In the next column, we will be exploring ways other countries are becoming environmentally-friendly.